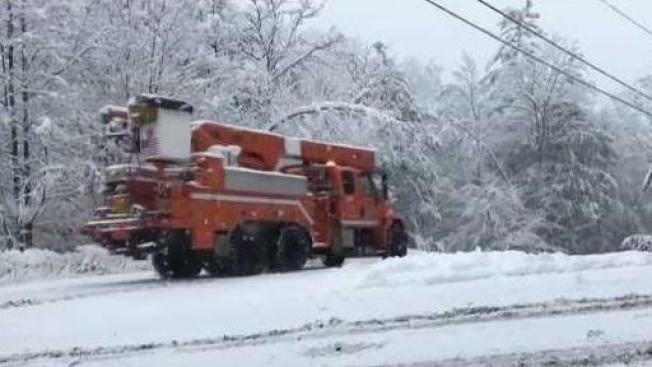 Warming centers and shelters are open in a number of Vermont communities for residents who are still without power following a storm that dumped heavy, wet snow across the state. Overnight shelters are open at the Barre Municipal Auditorium, the Hartford High School, and the Twin Valley High School in Wilmington. Warming centers were open Thursday at the Barnard Fire Station, the National Guard armories in Bradford and Northfield, the Chester Town Office and the Robinson Elementary School in Starksboro. More than 19,000 customers were still without power on Thursday morning. Vermont Emergency Management is providing a list of shelters and warming centers on its website and will update it as they close or new ones open.